In the wake of a recent major boating accident, plaintiffs are raising questions about boat design. If you live on the Gulf Coast of Florida, you know that boating accidents are inevitable. Some of those accidents result just from the sheer number of boats in the water around the state. Weather, bad luck, and distracted boat operators all cause their share of accidents. Sometimes the boat itself causes a serious or fatal accident. The plaintiffs behind a recent lawsuit probably assumed, like most Floridians do, that the boats they buy or charter are free of dangerous design flaws. The wrongful death suit stems from a 2014 boating accident in Georgia that killed 7-year-old Ryan Batchelder. The boat’s propeller hit him after he was swept overboard as the boat took on water. The boy’s Lake Worth family recently filed a wrongful death lawsuit over the incident. The lawsuit alleges that Malibu, the boat’s manufacturer, could have prevented the accident with proper design and testing. Reporters from NBC Washington investigated the case and wider safety issues in the recreational boating industry. NBC’s report examined Malibu boats and other boat manufacturer’s products. The company modified its Response LX model to include bow seats. This design change added weight but the manufacturer never proved that they tested this change. In the Ryan Batchelder case, the boat’s own wake swamped it and washed Ryan overboard, where he died from blood loss and drowning. Malibu was only one company that seemed to have design issues it failed to correct. Another family sued boat manufacturer MasterCraft after a similar “swamping” accident. This suit alleges that a woman suffered traumatic brain injury and permanent impairment after she went overboard. The MasterCraft boat she was in was swamped, like the boat in the Florida case. Like the Florida case, the boat’s propeller caused devastating injuries. That lawsuit also alleged MasterCraft failed to design and test the boat properly. The court agreed and awarded the family $30 million. Florida’s Fish and Wildlife Conservation Commission reports on boating statistics. While Floridians love the water, many people will be surprised to learn that the state was home to 889,000 registered boats and other watercraft in 2015. All of those boaters only had 737 reported accidents in 2015 though, suggesting that boating is not all that dangerous. Those accidents resulted in 52 deaths in 2015. Falls overboard, collisions with fixed objects, and capsizing caused most of the deaths. The statistics do not show what role failures in equipment or boat hulls may have played in fatalities. 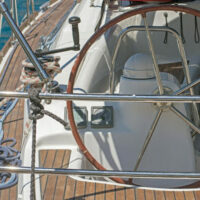 Like other states, Florida law protects boaters from defective boats and related products. Those two boating accident cases show that, first, boating carries some serious risks, and that law firms can make boat manufacturers accept responsibility for injuries their products cause. If you or a loved one have sustained injuries in a boating accident in Tampa, we can help. At the Matassini Law Firm, P.A., our dedicated attorneys will advocate on your behalf to help you recover the compensation you deserve. Reach out to us today for help.